Last night I made the Crock Pot Buffalo Chicken Sandwiches and we have plenty, plenty of left overs. What to make for lunch lunch today? 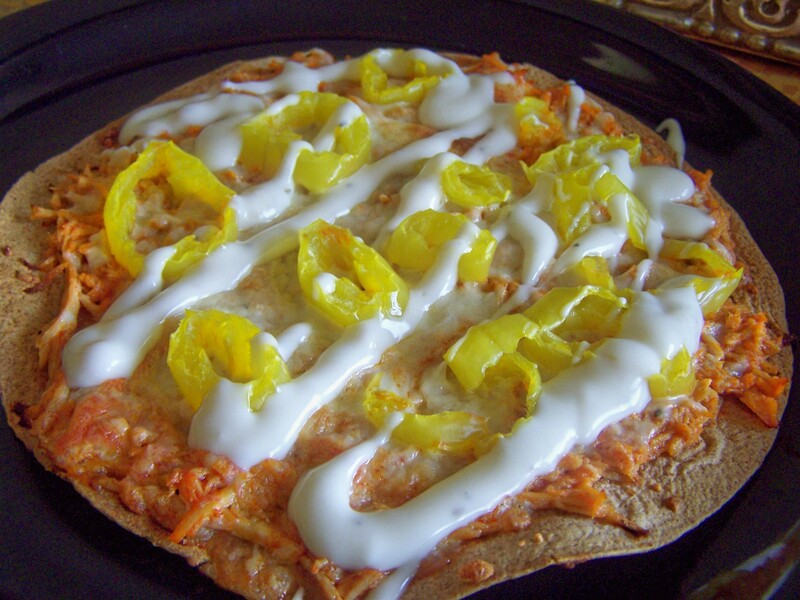 Buffalo Chicken Tortilla Pizza! 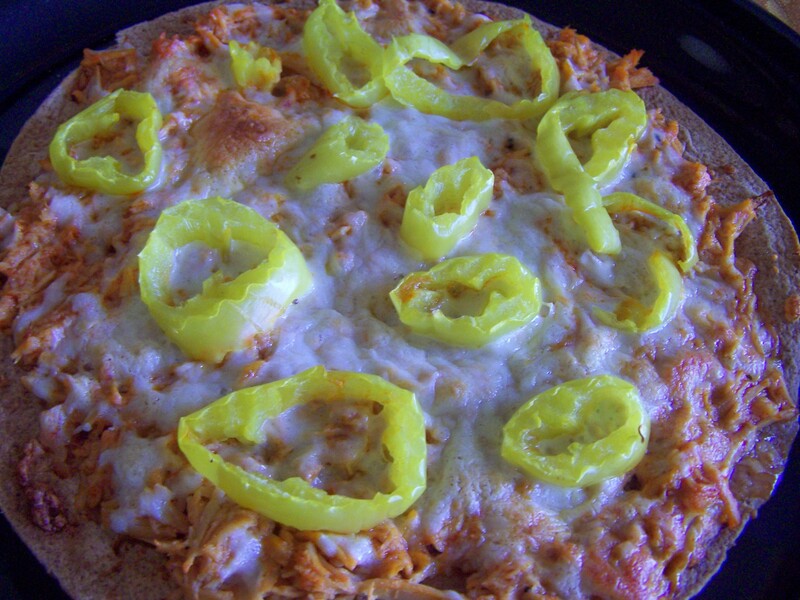 One of the many great recipes you can make with buffalo chicken. 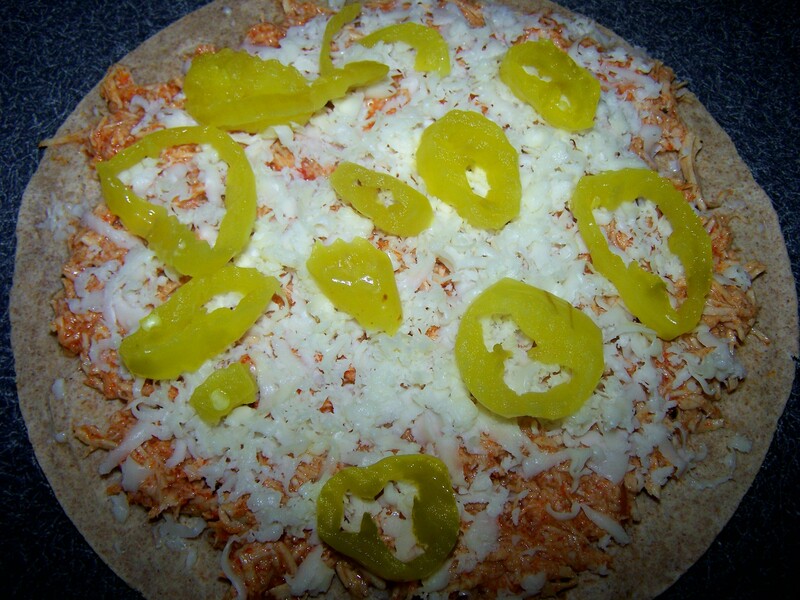 Layer some buffalo chicken on top of tortilla, add shredded mozzarella cheese and peppers. Add some blue cheese dressing. Tonight it was “everyone fend for themselves!” This is always my go to when I do not feel like making dinner. I have made this pizza so many different ways. 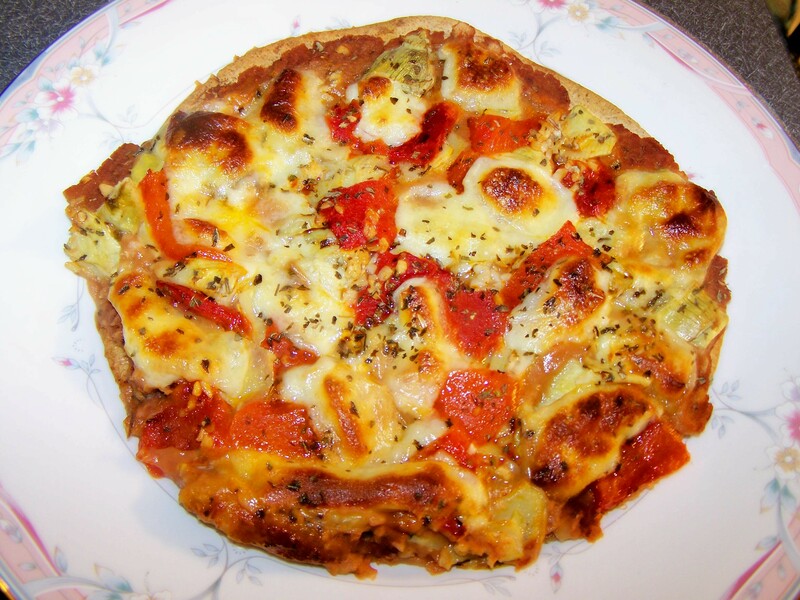 You can be very creative with this dish and add whatever you like as your toppings. In the summertime, I like to add fresh tomatoes and make a white pizza on the grill. You can make the base with pizza sauce, ricotta cheese, black beans, whatever your heart desires and build it from there. This is one of my favorites, as I love, love, love refried beans, artichokes and roasted peppers. Spread some refried beans over the tortilla to cover. 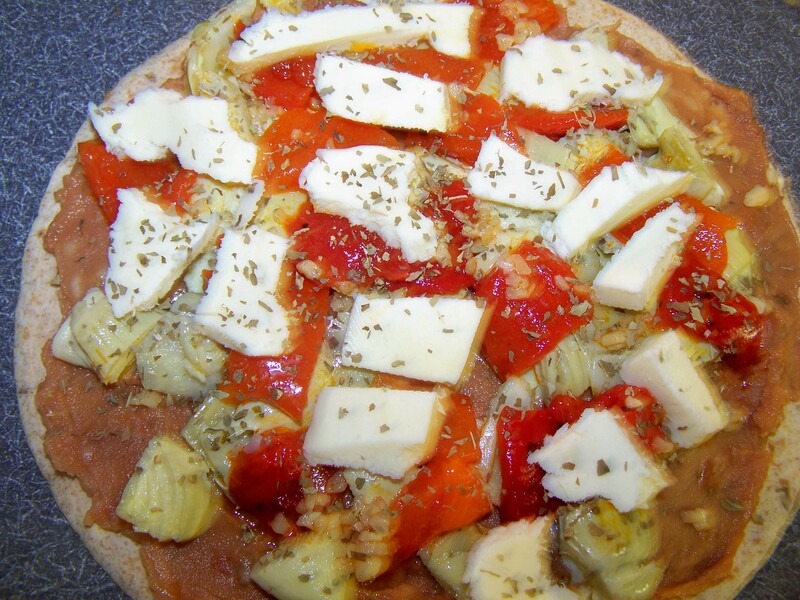 Add roasted red peppers, artichokes, garlic, mozzarella and basil. Place on foil lined cookie sheet or directly on the oven grates and bake for approximately 20 minutes.